Christmas is over - but that doesn’t mean we’ve stopped feeling the holiday spirit just yet. In fact, as we pop the kettle on for one of the last few brews of 2012, we’ve found ourselves feeling rather humbled. A little while ago, a London fire fighter named Steve asked us for some tea bags and a few other goodies. He was heading to New York with seven colleagues to help out with the aftermath of Hurricane Sandy - and it’s not the first time his group, Tunnel 2 Towers Run, has headed out to help the New York Fire Dept. They joined local fire crews, police, the US Coast Guard and other aid-giving groups to help people hit by the hurricane - some of whom have no homes and no electricity. 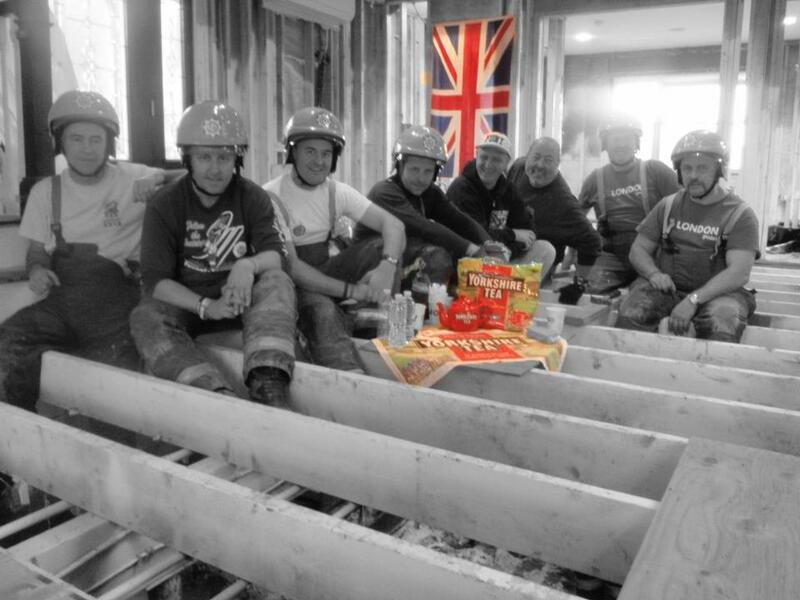 The picture above shows the lads at Breezy Point, taking a quick break on the floor joists before laying a new floor - inspired by this famous shot. We're honoured to think we might have helped a little with such a noble mission. You can find out more about Tunnel 2 Towers Run here.